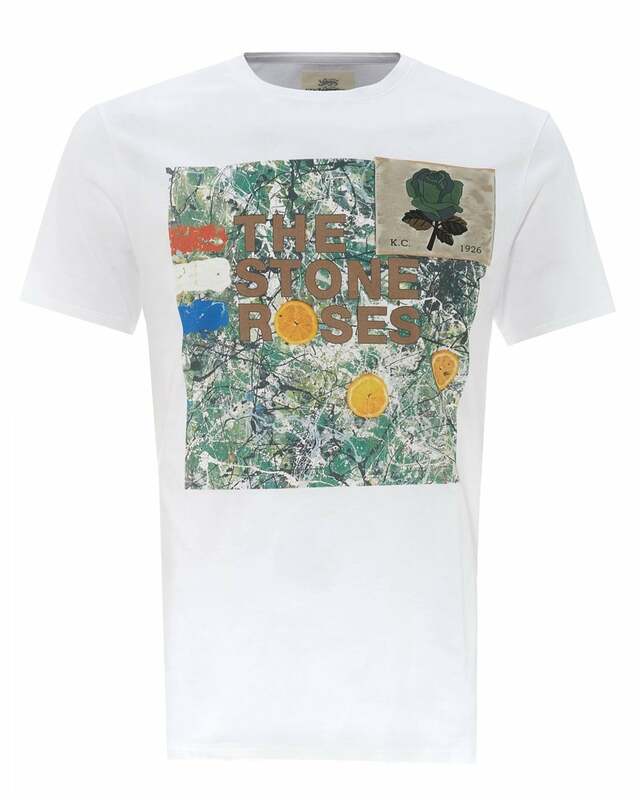 Inspired by John Squire's iconic cover artwork for the band The Stone Roses, this t-shirt pays homage to the British music and heritage. Boasting the iconic Kent & Curwen rose patch to the chest, the brand delivers a contemporary tee that alludes to the rebellious attitude of the 90's. Undoubtedly a unique and charming piece in any wardrobe.